In his paper entitled ‘Engagement in Sport Career Transition Planning Enhances Performance,’ Prof. David Lavallee examines whether planning for retirement from sport can enhance sporting performance. In one of the first studies of its kind, Lavallee, a Professor of Duty of Care in Sport in the School of Social and Health Sciences at Abertay University in Dundee, used anonymised data sourced from the National Rugby League (NRL) in Australia. Comprising 28,516 performance selection observations for 623 players over three seasons, Lavallee’s comprehensive investigation is set to have implications in the delivery of career transition programmes for professional players and athletes. Interestingly, from Lavallee’s study it emerged that players who had higher levels of engagement in career transition planning were (a) contracted to their team for longer periods, (b) featured more regularly in team selections and (c) enjoyed longer playing careers overall. This was also compounded by the experience of their career coach and the number of sessions they attended. 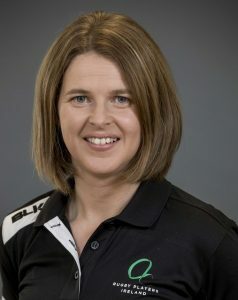 Dr Deirdre Lyons, as Head of the Player Development Programme (PDP) at Rugby Players Ireland, welcomed the findings. In her commentary published in the Journal of Loss and Trauma, Lyons notes that the evidence presented by Lavallee, compliments the growing number of European sports policies which state that all athletes should be able to participate in environments that promote long-term personal growth and well-being, in addition to sporting excellence. 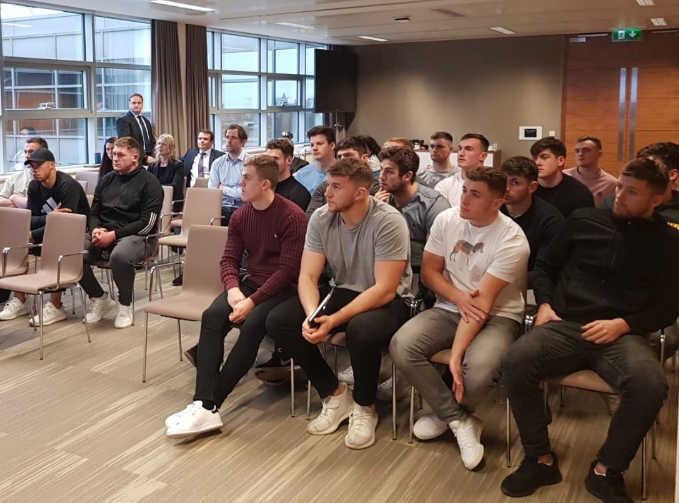 Rugby Players Ireland’s PDP, which is jointly funded by the IRFU, ensures that all professional rugby players in the country currently have access to a Player Development Manager. The role of the PDM is to promote the personal development and wellbeing of players through empowering them to take ownership of their own development both on and off the sporting field. This service also extends to Academy players, 7s players, retired professionals and the women’s programme. With a PDM catering for each grouping, the support is individualised, having grown from just one PDM fulfilling this role prior to 2012, to five by 2015. Some of the supports provided to players include help with education, career planning, financial education and mental wellbeing. Lyons accepts that some athletes are reluctant to engage in career transition planning programmes prior to their retirement. In her view, there remains a perception that engagement in such activity, while still competing could be a distraction from their main role as professional players. Furthermore, clubs and teams may also assume, especially at senior level, that PDP activities detract from the core business of performance. This comes despite a general acceptance that retirement from sport can often prove to be a major loss for professional athletes. From an organisational perspective, Pretorius, a former Welsh international, points out that owing to the commercial growth of professional sports, the role of the modern coach has already shifted to include both the on-field coaching of the player and the management of the player as an individual effectively through mentorship, counselling and sometimes friendship. Across the world of sport, player associations are striving to elevate and enhance the role of the PDM and are therefore ideally placed to fill this off-field role. However, this can be complicated by the traditional view of the players association as an independent union. Therefore, Pretorius suggests that by providing clarity and transparency of programme content and the PDM’s role, coaches will be able to relinquish some of the welfare responsibilities that have been added to an already burdensome position. Furthermore, Lyons points out that, based upon Lavallee’s conclusions, clubs that value a more holistic approach through a PDM that has been fully integrated into a player’s support team, can keep players in the club, and the game, for longer. This culture of personal development can also be attractive to a player at a rival club where no such culture exists or indeed to the family of an Academy athlete who will be satisfied that off-field needs are being met. Lyons believes that the embedding of a PDM in the club system would allow for greater engagement and personal development, in general. To achieve this, she acknowledges that PDMs need to have the skills, competencies, and qualifications to support current and former professional players. Ultimately, Dr Lyons believes that genuine support in the area of preretirement planning, development and wellbeing programmes, in whatever guise, will ensure that such programmes become the norm in elite sporting environments, which in turn will see the PDM become an integral part of the player’s support team. Furthermore, in seeing the person beyond the player, sport will meet its duty of care to players by helping them to plan for life after sport without compromising their core business of performance.